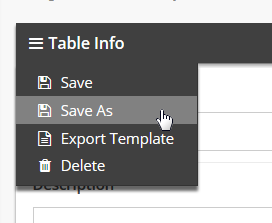 Documentation and SupportReleases 2015-11-03 ReleaseYou now have the option to save views, pivots, and charts when you choose Save As from the Table Info Sandwich. 1. Choose Save As from the menu. 2. Choose what you wish to copy over with the table. 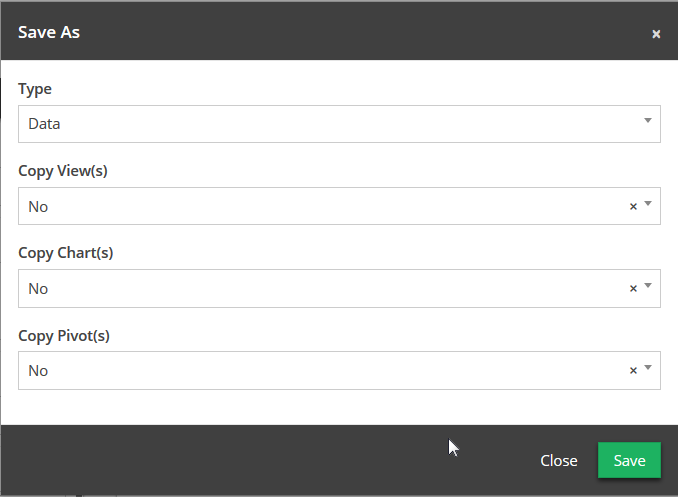 Prev: When you start checking rows, hover over text will remind you how many rows you currently have selected. Next: The run statistics are included in the notification when only a single rule is run.